Here are some photographs of a small repair, but one that turned out quite well. 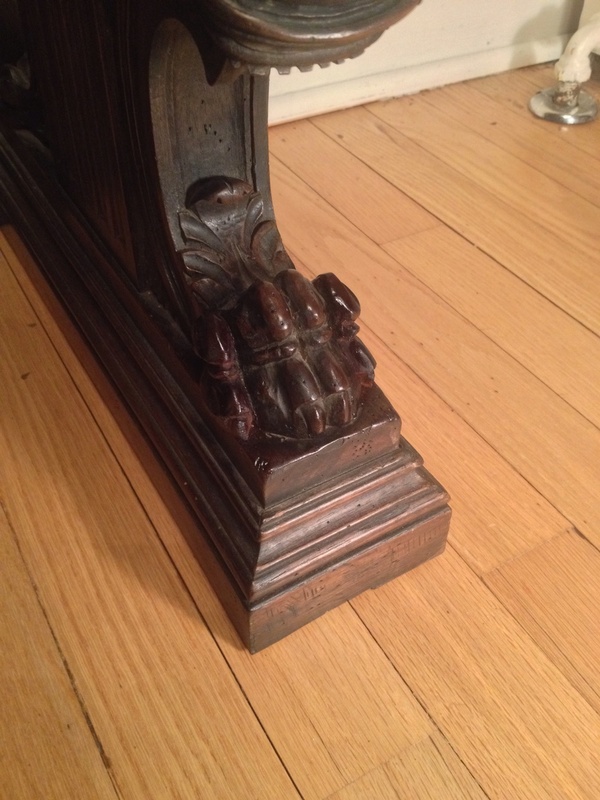 The piece is a church pew made of Walnut and heavily carved. It is fairly old and had a damaged foot. Two sides which were glued on had fallen off. The course of action was to glue on more material, recarve what was added and finish it to look like it had always been there. I chose to do the work on site rather than in the shop. Not many tools were required and it would be easier for me and safer for the piece this way.